"The river is like a green silk belt, and the hills are like turquoise jade hairpins." So wrote the Tang Dynasty scholar and writer Han Yu (768-794), becoming the first prominent voice to immortalize this unique landscape. Ever since, artists have joined the chorus in eulogies in poems and paintings. Nowadays, photographers from all over the world have taken up the aesthetic challenge, aiming for the most evocative possible image. 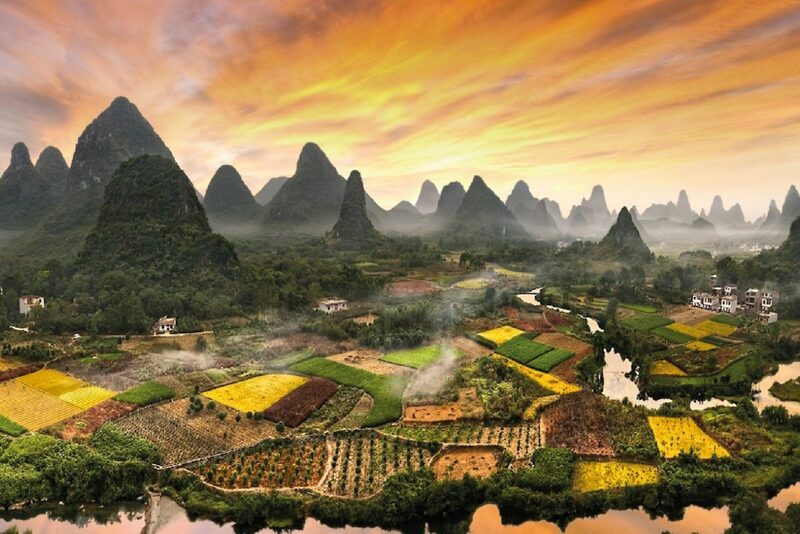 The Guilin area owes it exquisite beauty to geological disruptions over 300 million years ago. Limestone formations pushed through an ancient sea bed, then the wind and rain eroded the hills and peaks into innumerable shapes, leaving behind labyrinth of caves and grottoes. 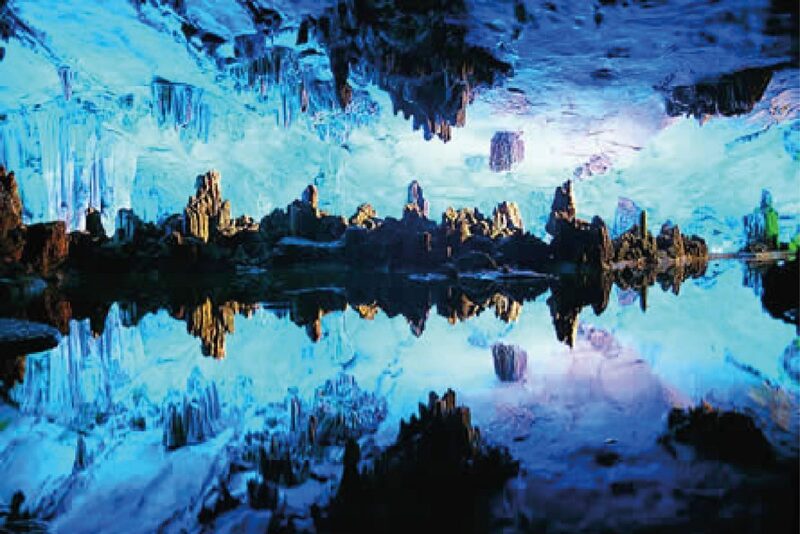 This surreal landscape is called karst and the lure of visitors to Guilin. 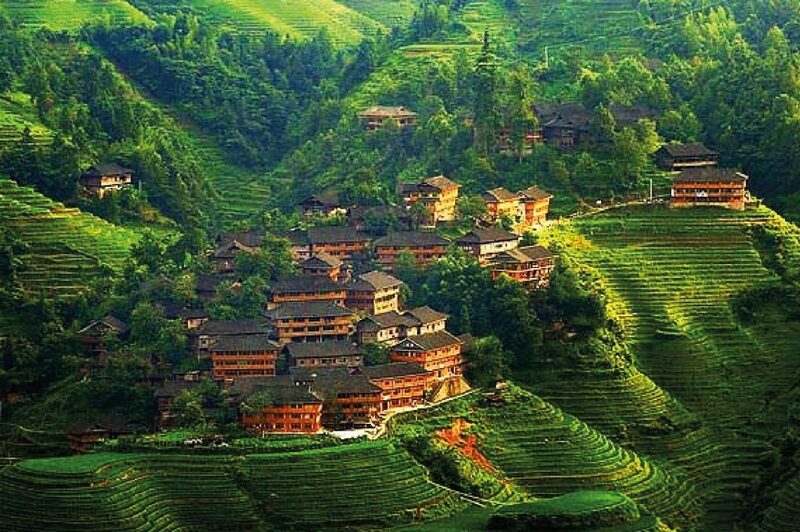 Guilin has no old town left. A construction boom only began with the blooming of the tourist business. The city now has the usual characteristics of a modern metropolis - traffic, shopping centers and boutiques, and souvenir stalls. It's a clean city with a charming waterfront and ever-changing moods. 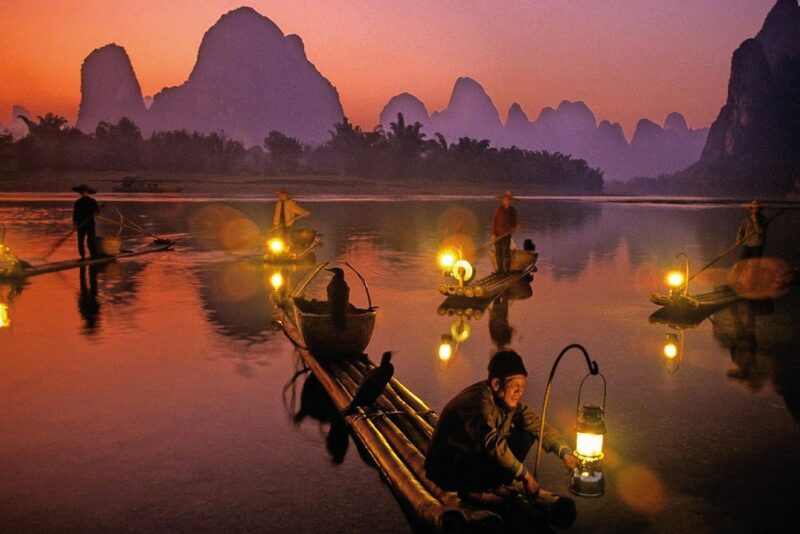 A few sights such as Elephant Trunk Hill, Fubo Hill, and the port area are illuminated at night.